SÆLIG is a strategy, roleplaying, simulation game about the things that matter; life, death, money, and family. The Dark Ages are harsh, but you’re alive and determined to prosper. Starting out with nothing more than a house and a small amount of money, it is up to you to find a way to make your fortune and leave a legacy in an ever-changing world that is often quite unfriendly. Start a business, find love, have children, make friends, make enemies, light fires. There are many ways to live your life, but what will be left after you’re gone? 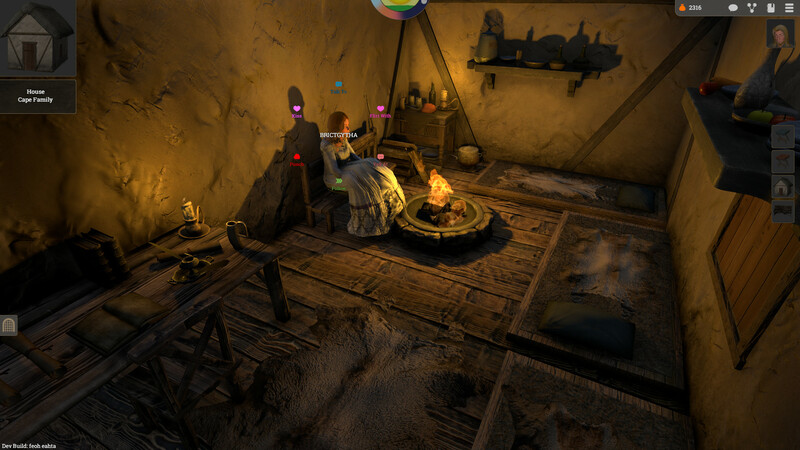 SÆLIG is a game that takes heavy inspiration from The Guild 2, and its various expansions. TG2 is a game that made quite an impact on me when it first came out, I hadn’t played anything like it before, and I haven’t played anything quite like it since. SÆLIG is my own take on that kind of game and while there are many similarities, a lot of time has been spent ensuring that it feels unique and special. 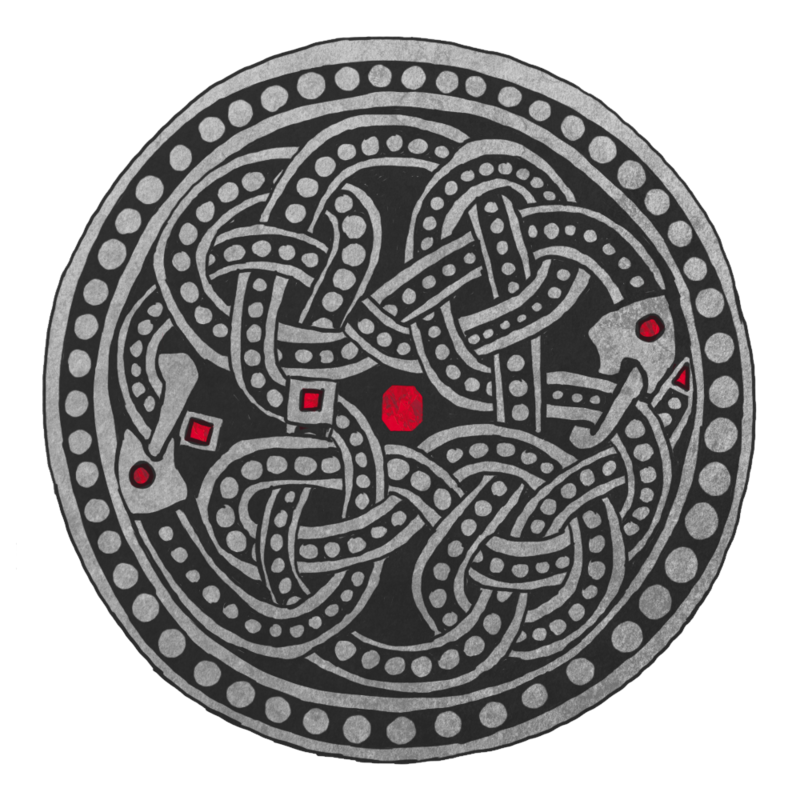 SÆLIG is set in Anglo-Saxon England, and by default starts in the year 880 and ends in 1066. You start as a young Saxon and must thrive in a kingdom at constant war with outsiders. As time passes the world around you will change and as the war rages on, the Saxon armies will slowly begin taking back territories from the Vikings, which will unlock more playable maps. Not only does this war serve as a mechanic to unlock maps, but in the form of raids, it also can bring great risk to your home, family, and ventures. The settlement you call home and the surrounding settlements and the people within are living, breathing entities. Each person has their own life and their own needs which they try to fulfil over the course of the day. Every person exists for their own purpose and will be born, work, play, marry, make love, and die, even if you never ever see, or meet, or even go anywhere near that person. 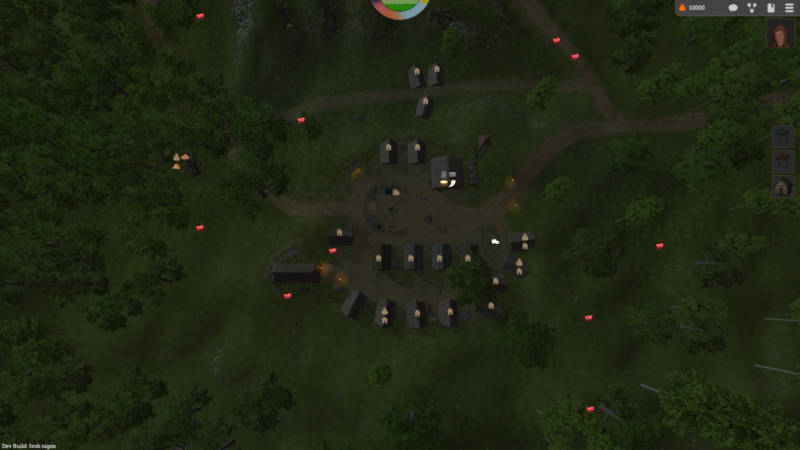 Each map has several settlements of all different shapes and sizes. 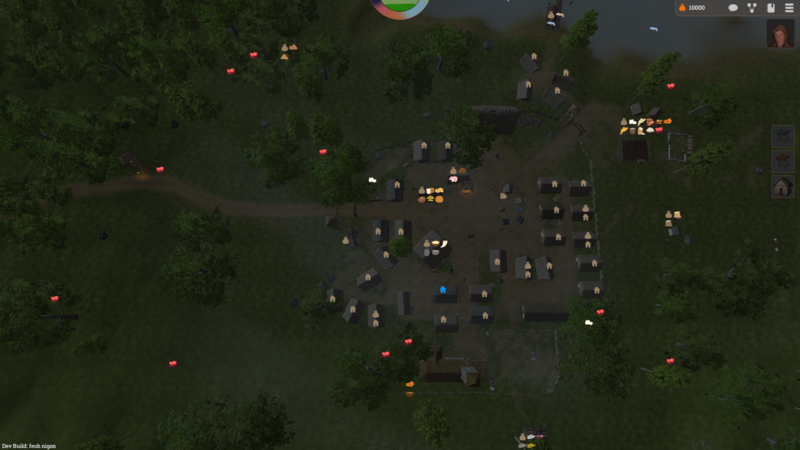 Everything from the smallest mining settlement to the largest towns, each one is living, each one is unique, and each one contributes to the game world in one way or another. Markets are the life-blood of the game. Whether it’s a cart offloading a sack of wool, or a poor jobless peasant selling a few fruits they picked in the forest, everyone contributes to the markets in their own way. The wool can be used to make coats for winter, and the fruits to make ale. Everything that comes through the market has a purpose. Destroy your competition in any way you see fit – murder, threats, kidnapping, fire, abuse of power, etc. Every time your player character dies you continue on as one of your children and continue doing so until either your family is no more, or the game reaches the end date. I'm so happy to be able to say that SÆLIG is now on Steam and nearly ready for a Early Access release. I'm looking forward to working with the players to make the best game I can. There is still a long way to go until SÆLIG is complete, but with your help, we can get there. I plan on releasing it in late June, or early July and I've settled on the price of $15us, and will apply a 10% launch discount. There is still a long way to go in regards to all the building types I want in the game, but I'm making progress. 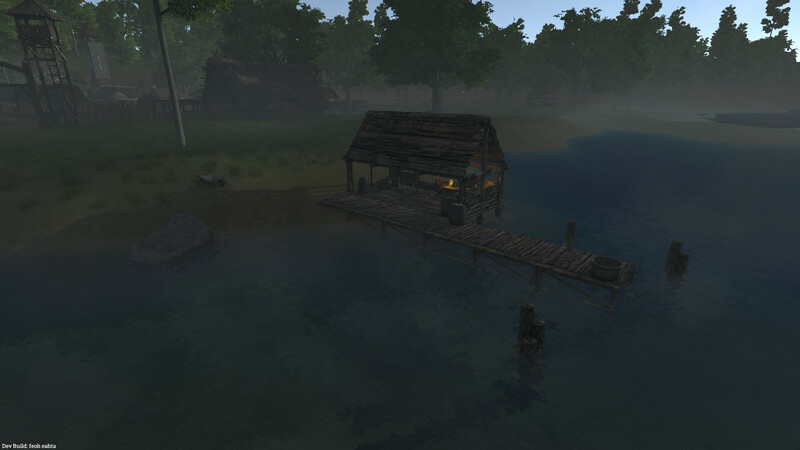 Fishing Docks - Though the fishing dock was one of the very first buildings I added, I have recently rebuilt it completely and am working on lots of great upgrades for it. Butcher - A very important building, the workers at the butcher can turn animal carcasses from the farm into meat. Their is also an upgrade available that will allow them to produce leather from hides. Cellar Upgrades - Standard houses now have cellar upgrades that allow you to utilise the area under your house for storage or for something a bit more sinister. With the storage upgrade your house inventory will be upgraded to the maximum, giving you lots of room for all your goodies. 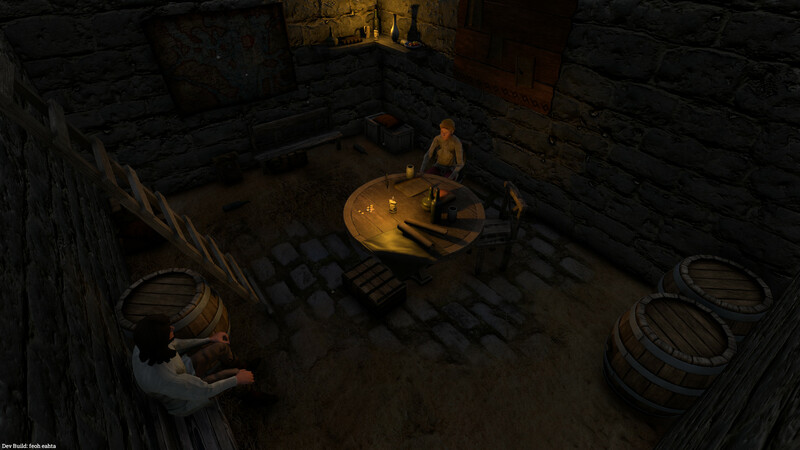 The second upgrade is used to turn your cellar into a Thieves Den, from which you can hire thieves and send them to pickpocket and waylay. There are more cellar upgrades planned. Events - Random events can now occur during production. I don't want to spoil any, so lets just say there are some good ones, some bad ones, and some deadly ones. I also plan to open this up so people can write their own events to add to the game. 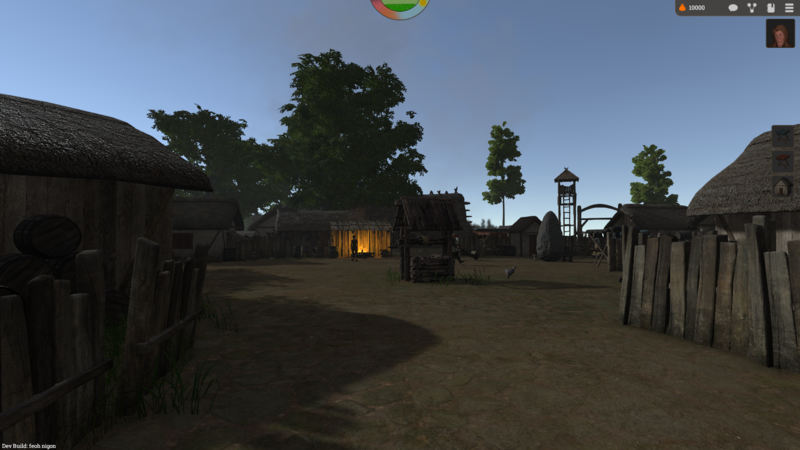 Interface - The game now has two main interfaces - Management, and Character. Left clicking on things will open up the management overview and allow you to do management tasks like upgrades, and production. Right clicking on something will allow your character to interact with it, so if you right click on a person you will be able to send your character to interact with that person. Overview Map - I have now also added in an overview map which when activated will zoom out to show helpful icons over buildings. From this view you can see what things can be produced where, and what buildings are for sale. Technically you could play most of the game from this view if you wanted. First Person - You can now zoom right in and control your player character in first person with standard WASD and mouse controls. Currently this is for simply exploring the map, but eventually I could open this up further and allow you to interact with this in this view. This has been such a great learning experience for me and I'm so glad there are others out there who are looking forward to it. I very much hope that you guys have as much fun playing it as I have had crafting it. An update on some of the things I've been working on recently. 18 days later, we have ourselves a chance to be on Steam. SÆLIG - Now on Greenlight! It's time for Greenlight. I do hope it goes well. I can’t possibly list all the things that have been added or changed since my last article, so here are a few of the main things. Thank you, that’s awesome. Comments like this mean so much to me. Haha, well that is the planned release. If all goes well. I'm glad you're looking forward to it. hey, how feasible is becoming a nomadic traveling merchant? trading from village too village but not settling anywhere? also how big is the game world? The game world is going to be split into a number of maps of various different sizes. There will be two maps for the Early Access release, one big, and one small. The big one is quite sizeable. At this stage you select a town to start in and you are given a house. From there you could do any kind of trading you want. You could buy a trading post and hire people to cart goods between towns, you could buy a cart for your house and upgrade it to a horse cart and have it trade goods, and you could buy a bag and simply walk between towns to trade goods. 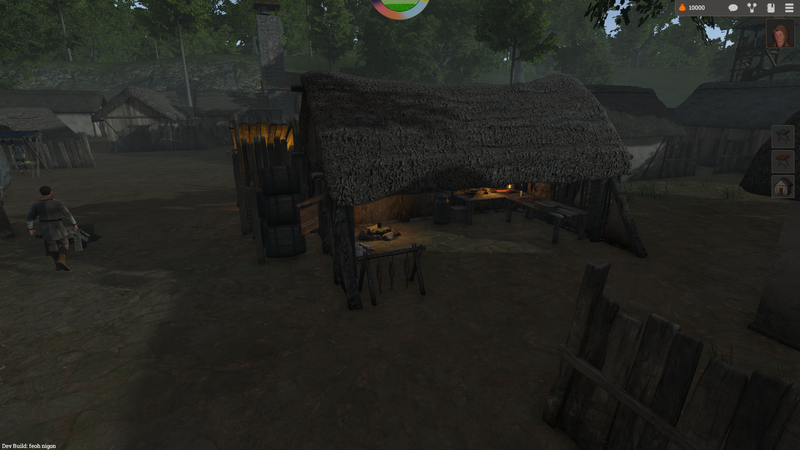 I am toying with the idea of allowing the player to start as a nomad, with a small bit of money, a tent, and a bag. Which would probably be the closest to what you want to do. I'll start on that new map now. Some decent stuff coming in update 13. Updated overview map, key mapping, working in your own businesses, hauling your own carts, and more!